Allied Universal Security Services - Nashville, has been a proud sponsor and has been supplying our lunch at our Shred It events, as well as promotional items at various community events. We do thank them for their continued support. For more information about Allied Universal Security Services, please contact David Blake, who is their Business Development Manager. <?xml:namespace prefix = v ns = "urn:schemas-microsoft-com:vml" />We would like to express our sincere thank you to the Shred It Company and to their group of workers who continually assist us in our fund raising efforts for the continued success of our Crime Stoppers program. They are all making our city safer by providing their shredding expertise and they are doing it for a most worthy cause. 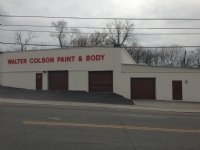 A special thank you to Walter Colson Paint and Body for their generous donation in getting our Crime Stoppers truck to look great for our community. Nashville Crime Stoppers would like to express our sincere thanks to MAPCO for their continued support in our community Shred days. They have been very supportive in our efforts to help our community during these events. Thank you! 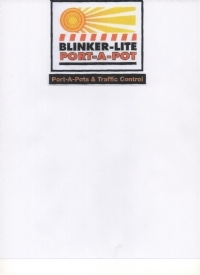 We would like to send our thank you to the EBS Foundation for their continued interest and financial support for the Nashville Crime Stoppers, Inc.
Nashville Crime Stoppers would like to express our sincere thanks to Blinker-Lite Safety, Inc / Port-A-Pot for their continued support in our community Shred days. They have been very supportive in our efforts to help our community during these events. Thanks! We would like to send our thank you to the Aladdin Industries Foundation for their continued interest and financial support for the Nashville Crime Stoppers, Inc.